Organic Kitchen, its new cosmetic series that consists of 100% natural personal care products. It comprises cosmetic products for face, hair and body care for all hair and skin types. Organic Kitchen products are formulated with natural ingredients. 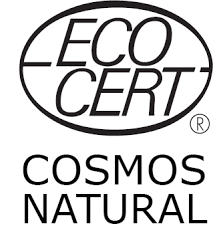 All products of ORGANIC KITCHEN are certified by ECOCERT COSMOS NATURAL wich guarantees natural composition, as well as the absence of parabens, mineral oil, silicones. SLS and SLES (sodium lauryl/laureth sulfate) or any other substances that might case irritation or allergic reactions. The name of the series reflects its essence. Organic Kitchen products really look like they could have been made in some magical kitchen. They are formulated with exotic juices, vegetable and essential oils, herbal extracts, natural honey and other delicious ingredients that care for your skin and hair gently yet effectively and give you a mood boost that lasts for hours. Natural ingredients are a great advantage, but do you know why else Organic Kitchen is so popular? These products stand out due to their unusual and often very funny names like Pop Art body cream, #corsetcream sculpting cream for wasp waist, Faith in aloe foot cream, Tomato’s theorem face mask, Camera! Action! shower gel, #ilovemyjob cream. Aren't they fun?